Having completed my studies in 2013, I did a one-year internship at the “CePeLek” (Central Military Clinic), where I gained experience by learning and cooperating with a number of prominent specialists in dentistry. Ever since I obtained the degree of a dental practitioner, I have been developing my professional skills by participating in the best training courses and conferences in conservative dentistry and endodontics. My passions are conservative dentistry and aesthetic dentistry, where I place particular emphasis on a beautiful and faithful reconstruction of the natural shape of teeth. I would like to dedicate my future dental career to endodontic treatment using a microscope. I also get a lot of satisfaction out of helping the youngest of patients and people suffering from dental phobia. 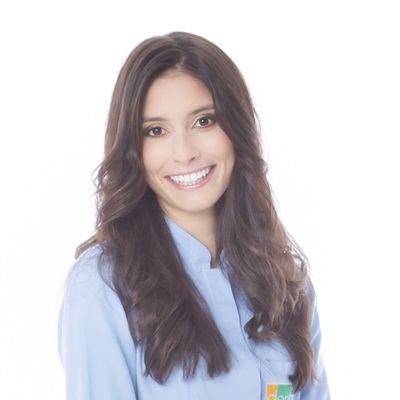 I can make your dental appointment a pleasant and painless, rather than fearful, experience. I attach particular importance to the comprehensive approach to patients. That is why, besides offering effective assistance in emergencies, I place great emphasis on precise diagnostics and proper treatment planning for the entire stomatognathic system. At my leisure, my greatest pleasures include listening to music, reading books, fine arts, travels and sport. Modern microscope-based endodontics – a practical view. A lecture and workshop. ENDO II. Modern microscope-based endodontics. Rinsing and filling root canals – a lecture and a workshop. Comprehensive composite aesthetics – from fillings to veneers – lecture and practical training. Restoration of posterior teeth after endodontic treatment: preparing the stroma for indirect or direct reconstruction. Aesthetics and precision in the filling of posterior teeth, or a different dimension of everyday practice. 7 steps in endodontic treatment. Endodontics I – manual preparation and filling of root canals by means of lateral gutta-percha condensation during a single appointment. Eight endodontic procedures which will help to avoid failures in treatment. Dental treatment in the interdisciplinary aspect. Composite reconstructions with the direct method. Aesthetic reconstruction after endodontic treatment using fibre glass inserts. Motivation with a capital M – an important factor for practice development. The motivation of the dentist, patient, team. Inhalatory sedation with nitrous oxide as a method of dental phobia elimination. Dentopolis 2015 – Standards of Modern Dentistry. 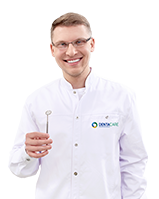 Dentopolis 2016 – Standards of Modern Dentistry. Maintaining vital pulp as a priority in young patients – the best therapeutic solution for proper development of dentition. Computer-aided anaesthesia techniques – the Wand STA system. Aesthetics. Orthodontics. Photographic and video documentation. About tooth whitening – more in terms of marketing than clinically. Radiological protection of patients for dentists performing medical radiological procedures.